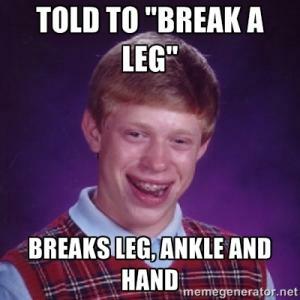 Remember when you told me to break a leg on the audition? 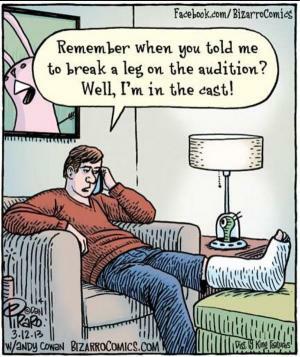 Well, I'm in the cast! 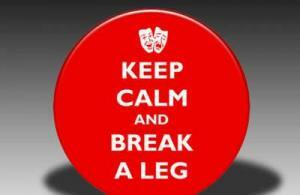 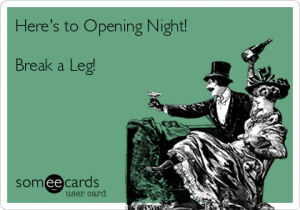 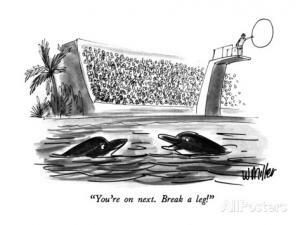 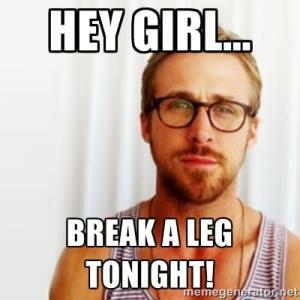 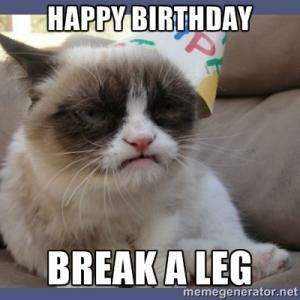 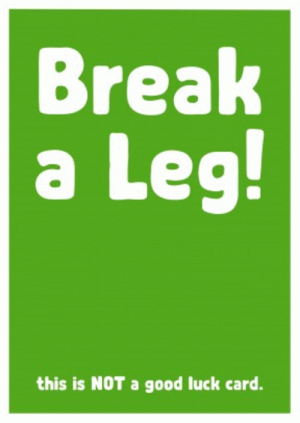 Break a leg tomorrow! 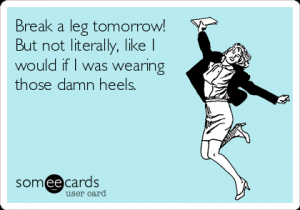 But not literally, like I would if I was wearing those damn heels. 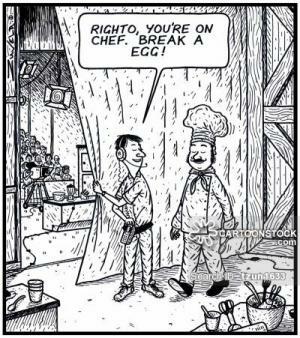 Righto, you're on chef. 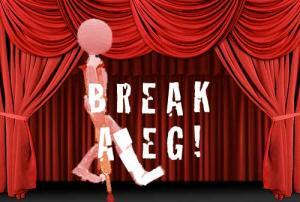 Break a egg! 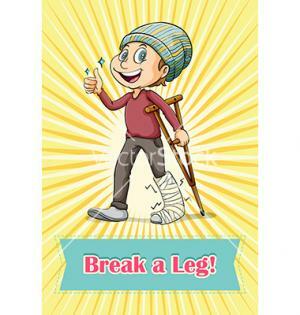 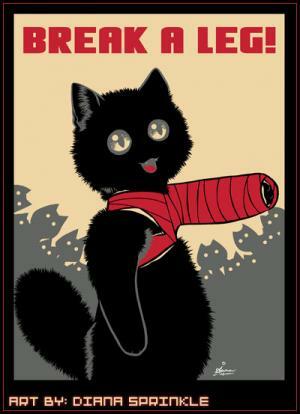 This is not a good luck card.